Can you find a piece of Japan in your own hometown? Japan is a country with an abundance of natural scenery and a wealth of culture in every nook and cranny. It’s one of the reasons why Japan is among the top countries on my “To-Be-Travelled” list. This past May, I went to Japan for around two weeks, indulging in delicious food, navigating the extremely confusing subway system, and feeling so welcomed because everyone I met was so friendly. In other words, I was strangely homesick when I came home after my trip. Wandering around my neighborhood, I discovered bits and pieces of Japan hidden in Vancouver; places that I visited on occasion but never fully appreciated their authenticity until I had travelled to Japan. Raisu is a restaurant that I go to whenever I crave Japanese cuisine. I’ve always left feeling like I had just travelled to Japan solely via my taste buds. 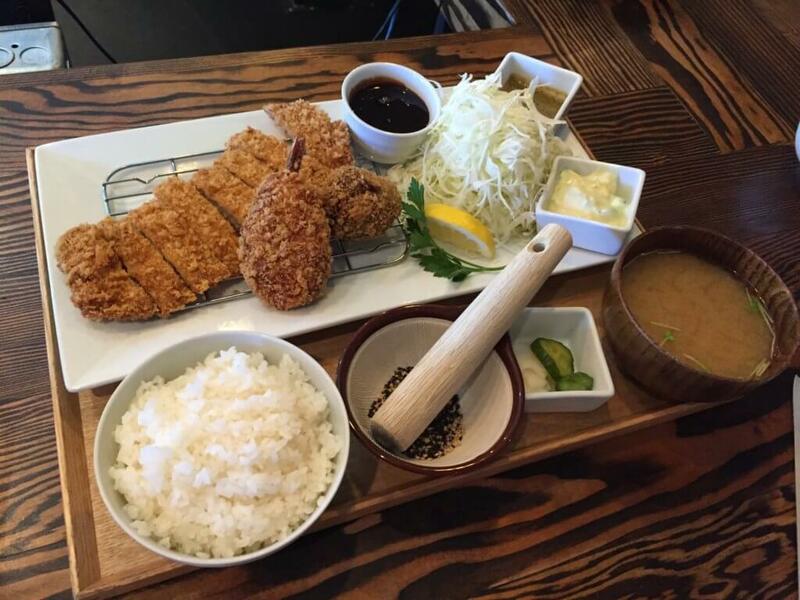 Tucked in between a fish market and a fruit market, Raisu serves up a delicious tonkatsu set, complete with a mortar and pestle to grind up toasted sesame seeds, a bowl of tonkatsu sauce, and a small mountain of lettuce. The pork cutlet was juicy and had a beautiful crispy coating. Although known for its tonkatsu, Raisu also serves up a bento set that consists of 9 small dishes. 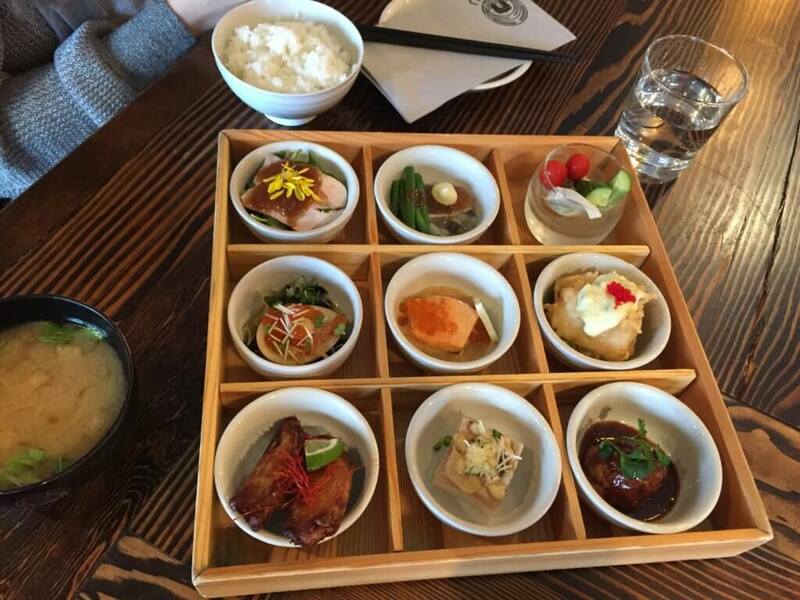 These bento boxes are on a first-come, first-served basis. I came with a friend on my third visit and was lucky enough to try one. The contents vary frequently–on this visit, it included sushi, a meatball, two salads, a soft-boiled egg, and two chicken wings. All of them were scrumptious. Itadakimasu! I wasn’t able to see the cherry blossoms when I went to Japan, just missing the end of the season. Fortunately, I got to see the cherry blossoms from the comfort of my own hometown. 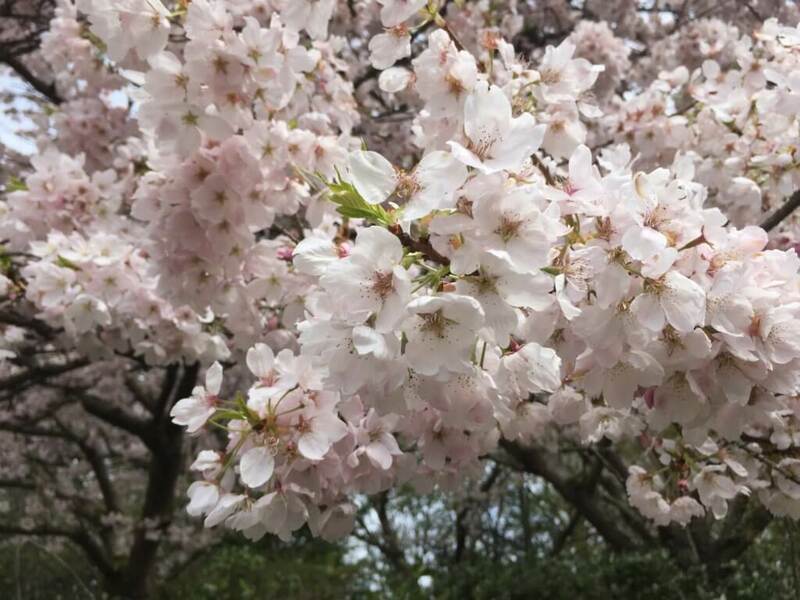 Vancouver is notorious for its rainy weather, but not a lot of people realize how beautiful the parks are in the spring, especially during sakura season. One of the best places to see this beautiful array of cherry blossoms is to head on over to Queen Elizabeth Park. With the weather beginning to clear up in April, this makes the perfect photo opportunity for everyone to enjoy. Or, if you can’t make it out to the park, you can always wander around the streets which are lined with cherry blossom trees. A few flower-viewing parties are organized throughout the season so residents and tourists can enjoy the cherry blossoms. 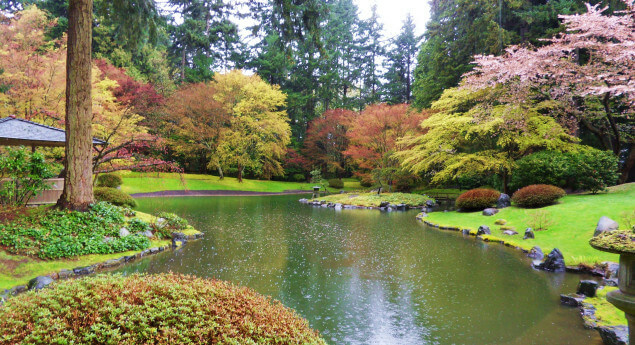 Nitobe Memorial Garden, located at the University of British Columbia, is a small niche of Japanese culture. It is an authentic Tea Garden with a ceremonial Tea House. Much of the greenery, such as the irises or cherry trees, was transported directly from Japan, so it really feels like you’re right in the heart of Japan. During my trip, I went to the national parks and shrines in Kyoto and Osaka. I was completely awestruck by how picturesque the views were. An air of calm settles over the parks and gardens, despite the large number of people that came to visit. In terms of how beautifully preserved the garden was, Nitobe Memorial Garden comes very close to Japan. One of the largest festivals celebrating Japanese Canadian culture, the Powell Street Festival is held for two days in August. Free for everyone to attend, the festival has a whole host of things to see and do: from taiko drum demonstrations, to food stalls that cook up some yummy takoyaki, craft vendors, and a stage with performing arts. There are booths that allow you to try on kimonos, and booths that sell traditional Japanese craft, like fans and calligraphy. It’s also kid-friendly, where children can participate in craft-making, like origami. The festival provides a very good introduction to what Japan has to offer, and provides an opportunity for people who are unfamiliar with the culture to immerse themselves in it. Although I miss Japan, from its exquisite food, to the hustle and bustle of city life, and everything in between, Canada does remind me of it in a few ways: the restaurants that greet you warmly; the cherry blossoms that bloom during the spring, coinciding with Japan’s own sakura season; the Japanese culture festivals. I hadn’t realized that there were small pockets of Japanese culture in my very home. So take a look around your neighborhood—where do you catch glimpses of Japan?